Are you tired of snow blowers and all of the inevitable hard work that comes with shoveling snow? Amazing Tree Services is a fully licensed and insured company that provides snow removal in NJ. We not are not only know for our amazing tree services, but for our amazing plow services as well. We can have the driveway or parking lot of your home or business cleaned out in no time. Meteorologists are predicting that tomorrow’s storm may be the worst one yet. Parts of New Jersey may get over a foot of snow. Snow and ice can last for 24 hours starting in the very late hours tonight. If you need all of this snow removed quickly, do not worry about it. We own all of our own plows and equipment. If you have any fallen or damaged trees on your property, they should be removed or trimmed immediately so as not to risk injury or damage to people and property below. 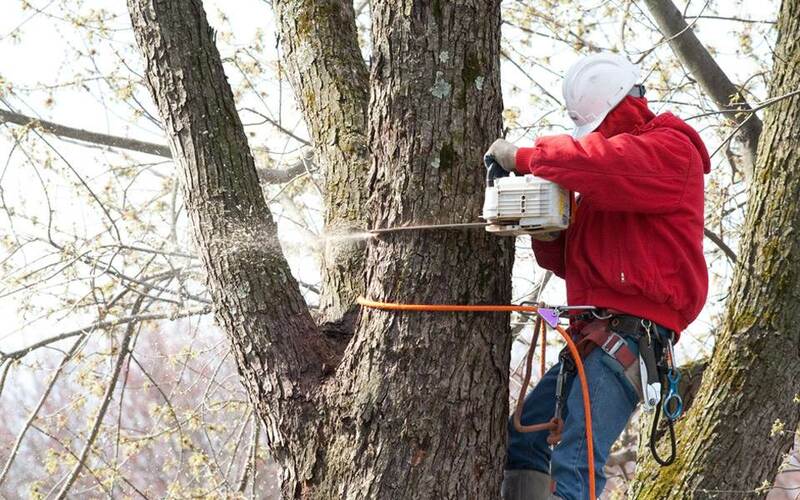 Our skilled technicians have the equipment to remove any trees or dangling branches quickly and safely. If you would like any more information on any of our NJ snow removal or tree removal services, contact Amazing Tree Services. These recent snow storms have caused a bit of damage throughout New Jersey. The massive amounts of snow and ice have toppled over several power lines and trees in the area. Unfortunately, they extreme snow storms are likely far from over. Meteorologists are saying that we might get another four to eight inches by Thursday. It is possible that we may get snow, sleet or freezing rain late Wednesday night into Thursday morning. 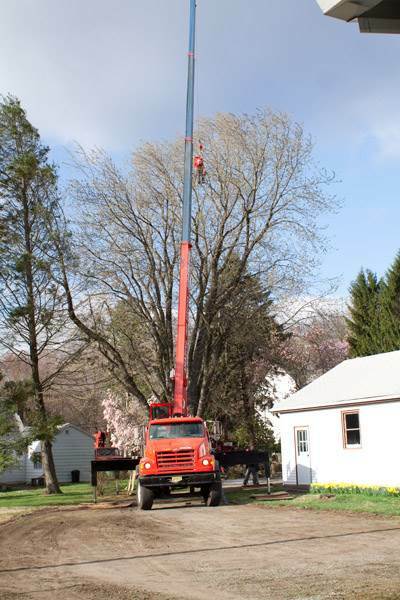 If you have an uprooted tree or fallen tree branches in the yard of your home or business, Amazing Tree Services provides several types of amazing tree services in Kenvil NJ. Our expertly trained technicians possess the skills and equipment to quickly and safely remove branches from any areas, including tight and hard-to-reach spaces. If you have dangling branches hanging from your trees, you can put any people or property below at risk. Be sure to take care of any of these questionable branches before the next storm hits. If you would like any more information on any of the Kenvil NJ tree services that we provide, contact Amazing Tree Services. A tree on your property that is in poor health can pose several liability issues. They can injure people or destroy property if they fall. If the tree hits a main utility line it may cause power outages, surges, fires and other costly damages. A tree near utility lines with potential to fall should be addressed immediately. Consider these things when surveying trees, whether they are near utility lines or not. Look for large dead branches in the trees canopy. An abundance of broken branches hanging in the tree. Check for any cavities or rotten wood along the trunk and major branches of the tree. Make note of any mushrooms or other fungi growing at the base of the tree. Have any trees near the tree in question fallen or died? Look at the root structure and notice anywhere the a root's growth has been impeded, damaged or broken off. Check that the leaves on the tree change color approximately the same time as the trees around it. Providing routine care for mature trees is essential for preventing them from becoming a risk. Recognizing and reducing tree hazards increases the life of the tree, and ultimately provides a safer environment for your family and neighbors. If you are in need of tree removal in South Orange call Amazing Tree Service today to have a trained professional provide you with a free quote. Yesterday’s winter storm wrought quite a bit of damage across New Jersey. As large amounts of ice began to freeze onto tree branches and weigh them down, many trees and branches came crashing down and damaged power lines as well as other property. The worst of the storm occurred around noon yesterday. At that point, over 60,000 people in New Jersey lost power. Electrical technicians worked all through the night to fix all of these broken power lines. If you have any trees or branches that have fallen down on your home or business’s property, Amazing Tree Services is a professional tree company that provides tree removal in Ringwood NJ. Our professional tree technicians have the skills and equipment to quickly and safely remove any trees or branches, even in tight spots and hard-to-reach areas. If the storm left your trees with hanging and dangling branches, they could fall at any time, putting any people or property beneath in danger. If this is the case, we can provide any tree trimming or tree pruning services necessary to have your tree safe and looking great. 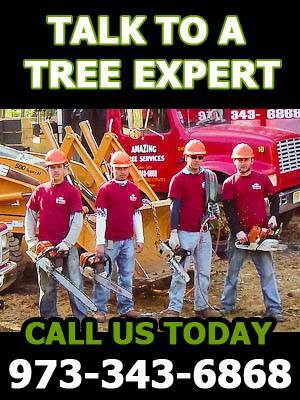 If you would like any more information on our Ringwood NJ tree removal services, contact Amazing Tree Services.